Who needs a killer minimal WordPress theme to use for their portfolio or showcase site? Did you raise your hand? Well you’re in luck, good friend! Minimal Desire premium WordPress theme was designed with you in mind — just look at the name! But it isn’t just a looker. 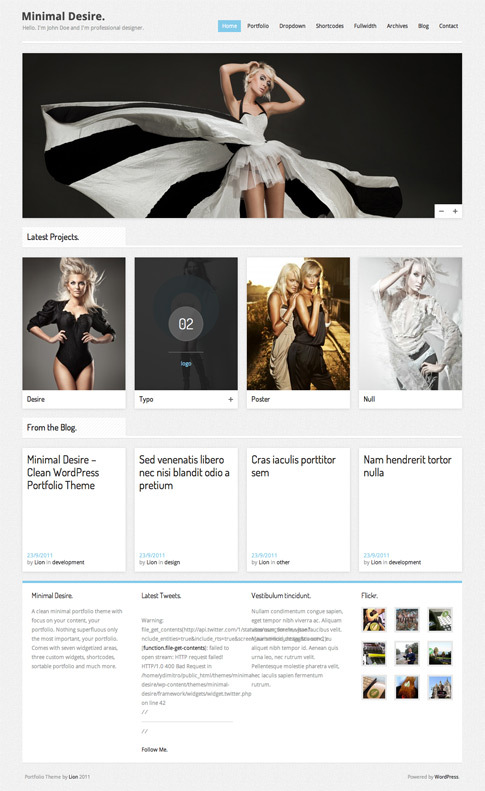 Minimal Desire also sports valid HTML5 and CSS3 along with multiple color options and widgetized areas. Check out the live demo at the end of the post to see what this great theme is all about. Come back and check out the showcase as we find more sites from around the web using Minimal Desire.